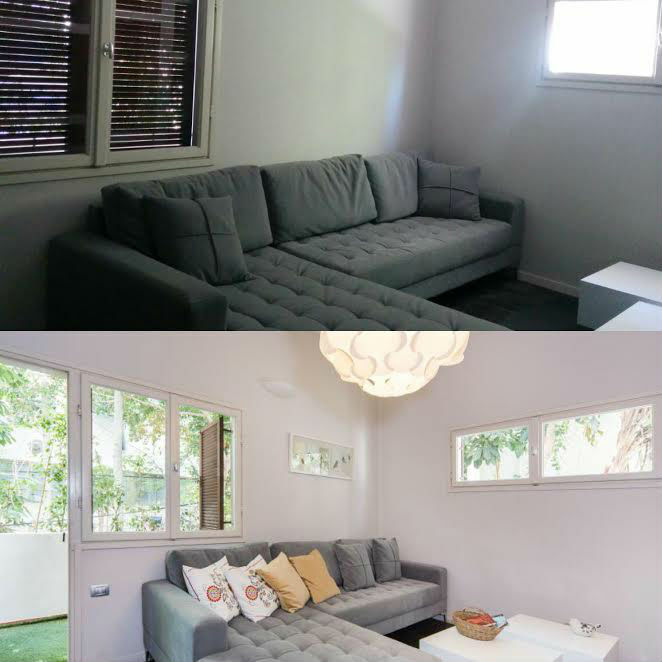 Express Apartment Makeover in TLV – my friend and I had 24 hours to turn a house into a home. Read our tips for interior design in Tel Aviv, originally written by me for Unlock tel Aviv and watch the film we shot on the spot. Our motto at my new work place and blog platform, www.seanrent.com is “We simply give more”, and that means we believe that a house is not a home without putting our heart and soul into it. 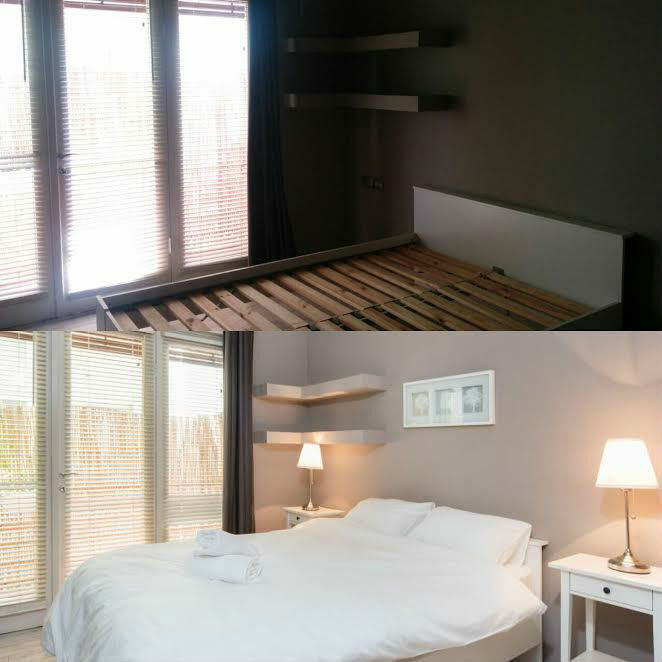 For most people, this goes without saying when it comes to their own apartments, but the phrase is valid for short-term rentals as well – no one has to compromise on soulless hotel rooms or rented flats lacking warmth and style. This is why my friend, Vital, and I decided to become home decorators for a night, and surprise someone who arrived in Israel for a vacation, and rented a holiday home which was gorgeous, but was empty as a drum..
We had only 24 hours to turn the space into a home – and knowing the White City, it was easy as pie. 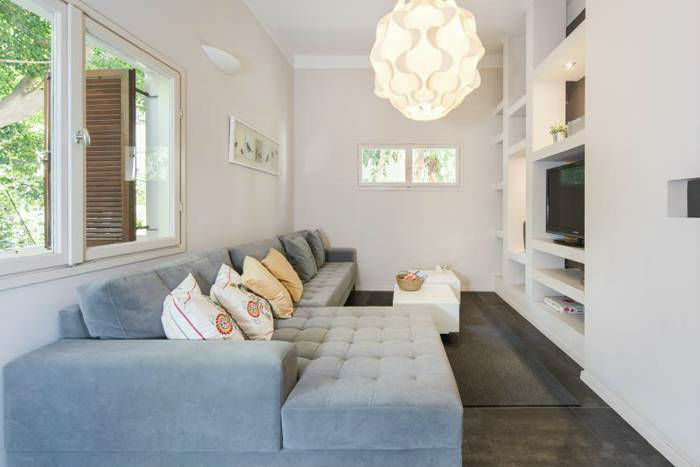 We hit Nachalat Binyamin Street – the textile district of Tel Aviv City, every home decorator’s dream. We also walked around a bit at “Shuk HaPishpeshim”, the ever-colorful flea market of Jaffa. We are not ashamed to say we also gave a go to IKEA (and not only because in Israel you can get hummus and falafel at the Swedish food court), and rallied into our secret obsession store, MAX20, an Israeli chain where you can get literally anything from kitchen accessories to picture frames and beach bags. With the help of a handsome handyman, a dedicated cleaning lady, and a few bottles of Goldstar – Israel’s signature beer – we had a super fun time pimping up the apartment. 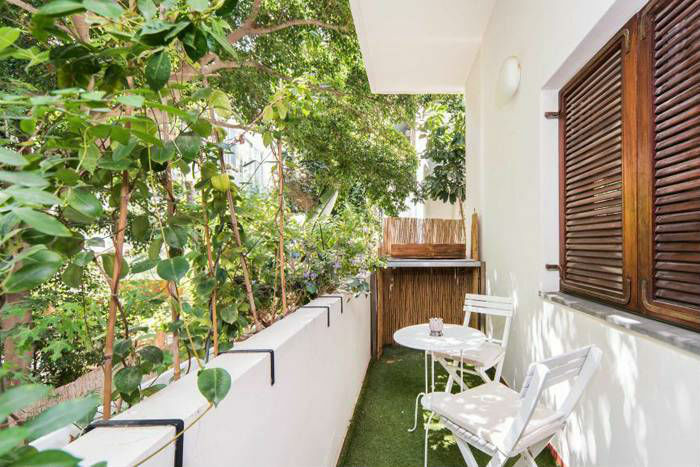 The vibe was a given; the classic Bauhaus building is in the quiet and ever-green Frug Street, surrounded by the busy shopping street, Dizengof, lined with crowded cafés and bars, and the beach is an easy ten-minute walk away. We decided on an eclectic style representing the many colors of Tel Aviv: modernism mixed with vintage; sophisticated simplicity spiced up with playfulness. 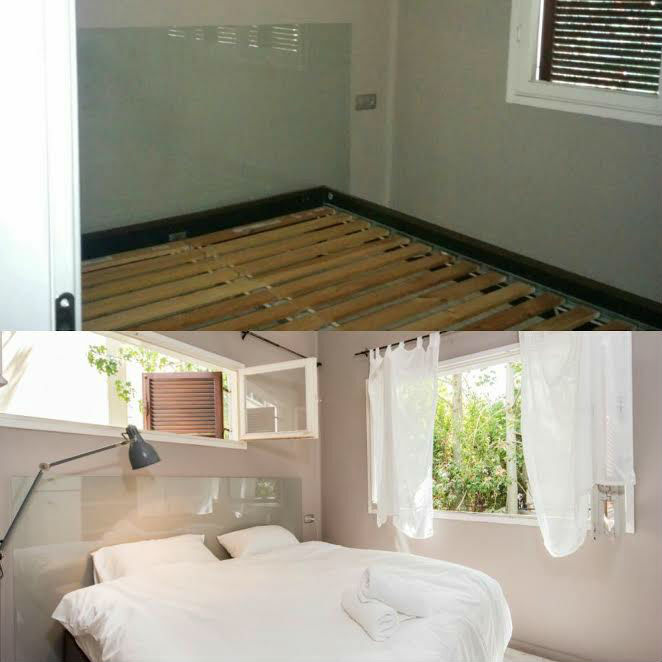 And of course we bought all the necessities for the kitchen for our guest to have the chance to cook and bake delicious Israeli dishes while on holiday, and cozy, soft bedsheets for the perfect beauty sleep. Hospitality is our specialty. 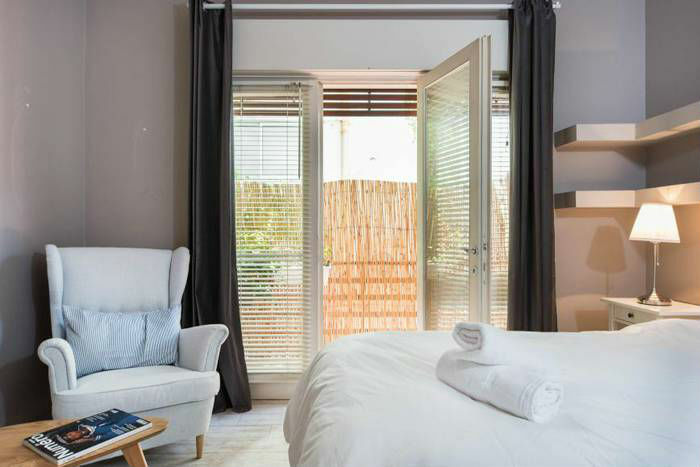 If you like our style, don’t hesitate to contact us before arriving in Tel Aviv – we’ll give a makeover to your holiday rental according to your guidelines. But enough talk – see it for yourself in this short film we shot on the spot. 1. Create a greater space and soften up sharp edges by putting up long curtains, hung from the ceiling, reaching all the way to the floor. 2. Don’t be afraid of hanging pictures on the walls – even if they seem to be in random places. Using wooden letters as sort of creative collage is über trendy these days. 3. Colorful, patterned pillows are great to invite some fun into your home – even if you prefer keep things simple and gray, use some dramatic colors to tidy up your sofa and bring life into your living room. 4. Play with different textures; don’t be afraid to combine metallic colors with wooden elements, or even natural (looking) stones. This way each and every piece will stand out from its environment. 5. Go for cuteness overdose; the Hebrew word “pichefkes” refers to those tiny little – let’s face it – often useless, but really pretty things you buy at an arts and craft market or your favorite home décor store. Fell in love with the space? 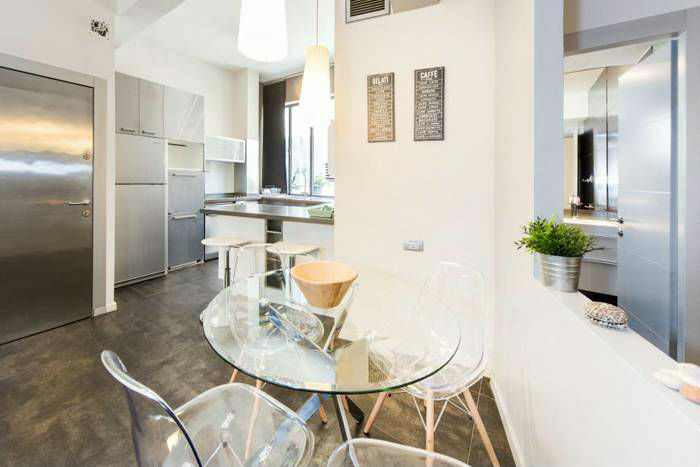 Call it your own for a while – pick from dozens of beautifully designed apartments on www.seanrent.com. Follow us on Insragram @seanrent_unlocktelaviv, and if you have any questions, join our growing Facebook group, where locals and visitors exchange information on the White City.